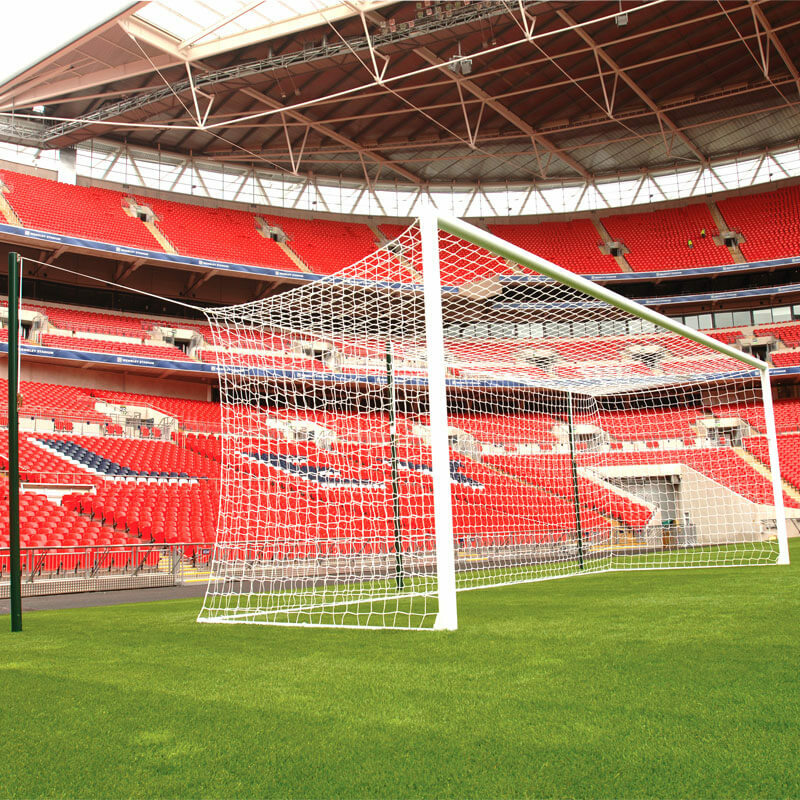 Harrod Sport ® uniquely designed 3G Socketed Stadium Football Posts 24ft x 8ft is used at top level venues including Wembley, St George's Park, Millennium Stadium, Premier, Championship and League clubs. The goals have also played host to Olympic, UEFA Championships, Champions League and many FA Cup finals. 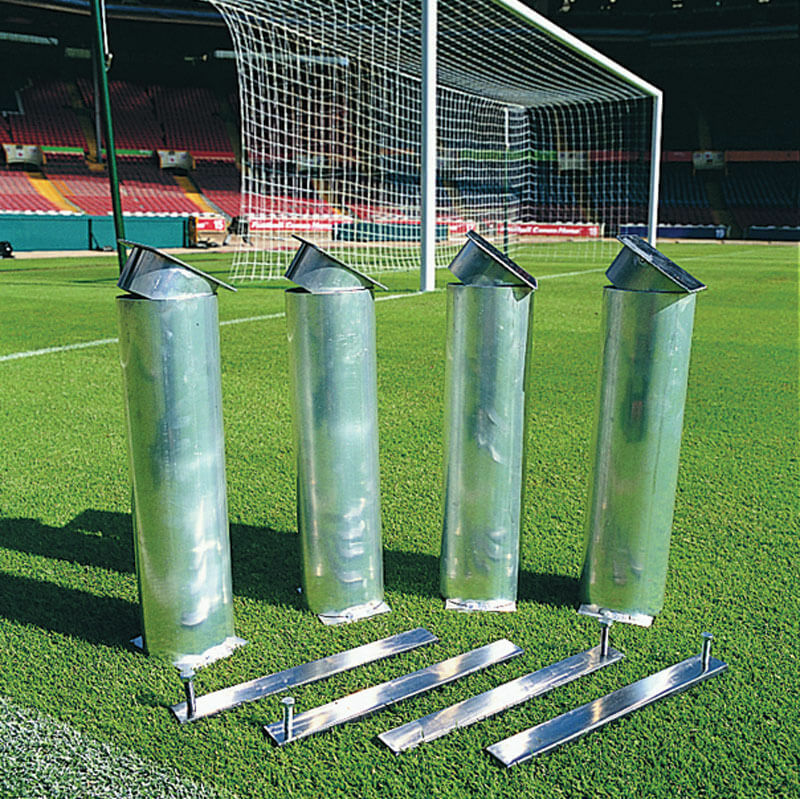 2 x Socketed Aluminium Goal Posts 24ft x 8ft. 4 x Sockets, Wedges and Lids. 2 x Nets: Harrod Stadium Goal Nets. 2 x Net Supports: Harrod 3G Freehanging Net Supports. 2 x Hinged Bottom Supports: Harrod Hinged Bottom Support. 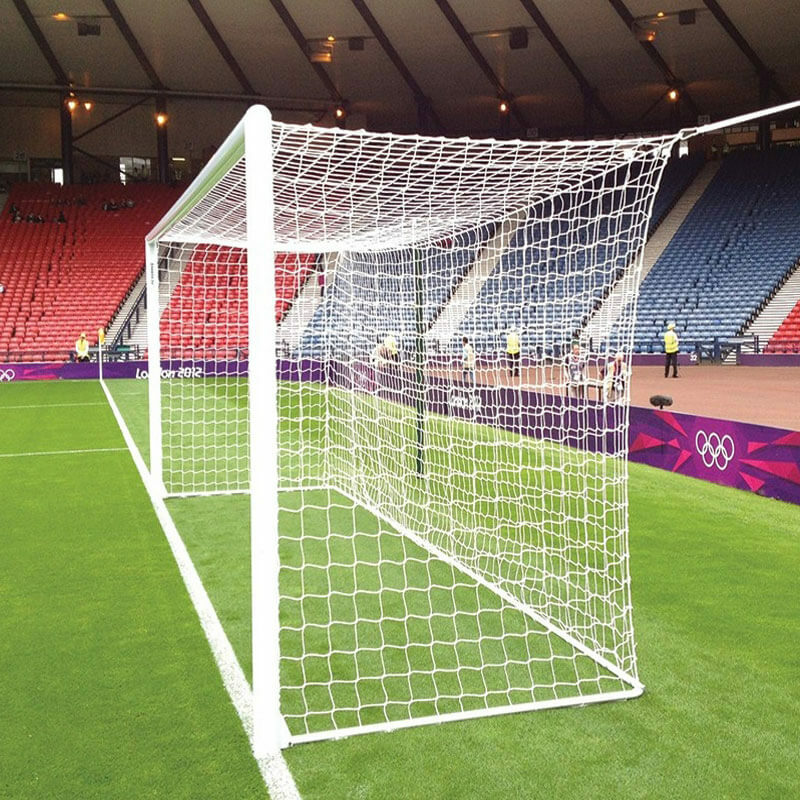 1 x Socketed Aluminium Goal Post 24ft x 8ft. 2 x Sockets, Wedges and Lids. 1 x Net: Harrod Stadium Goal Nets. 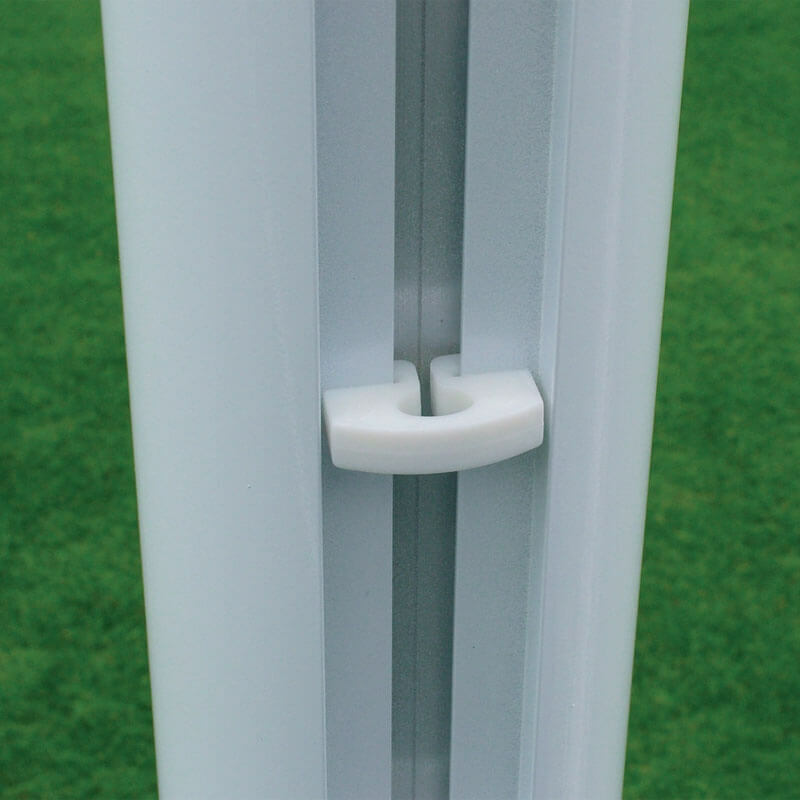 1 x Net Support: Harrod 3G Freehanging Net Supports. 1 x Hinged Bottom Support: Harrod Hinged Bottom Support. 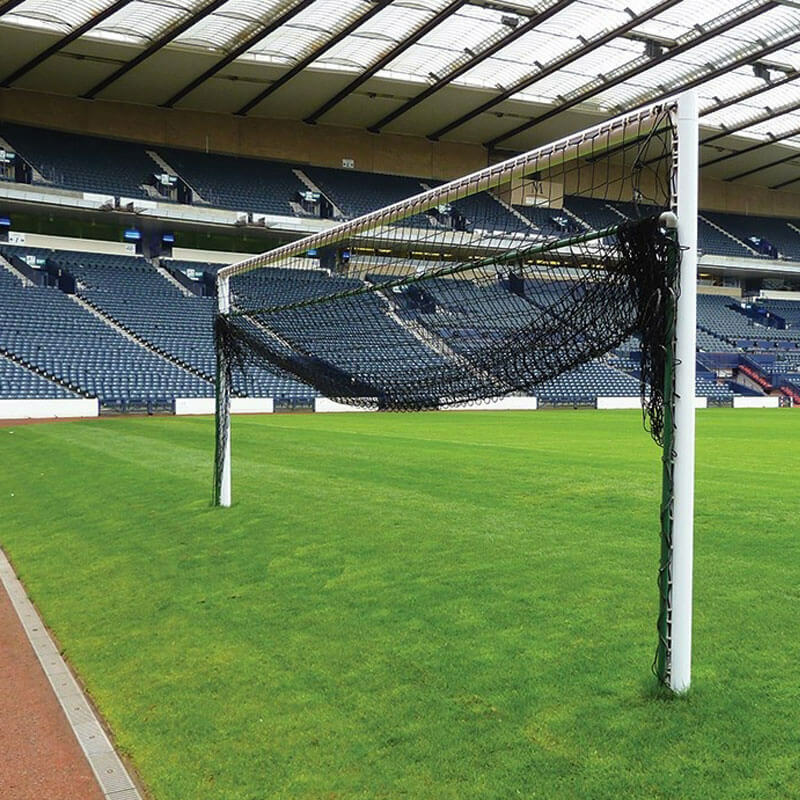 Uprights and crossbar manufactured from 102mm x 112mm x 2.2mm thick elliptical reinforced aluminium. Zinc plated steel fixing plate incorporating corner net clamp. 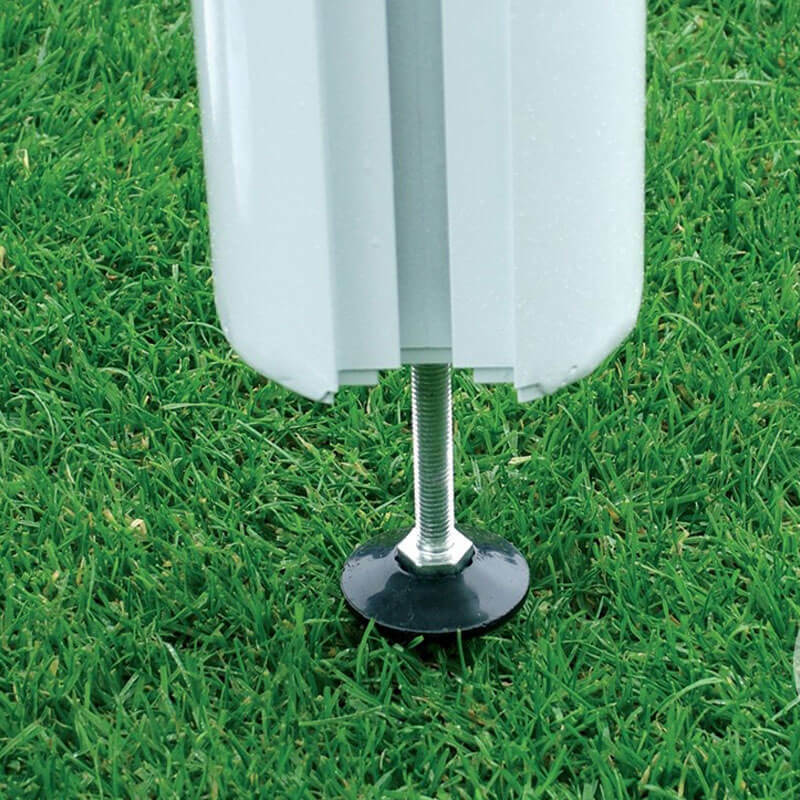 460mm deep elliptical sockets complete with drop-in socket lids and wedges for holding posts firmly in the sockets. Stainless steel corner net clamps. 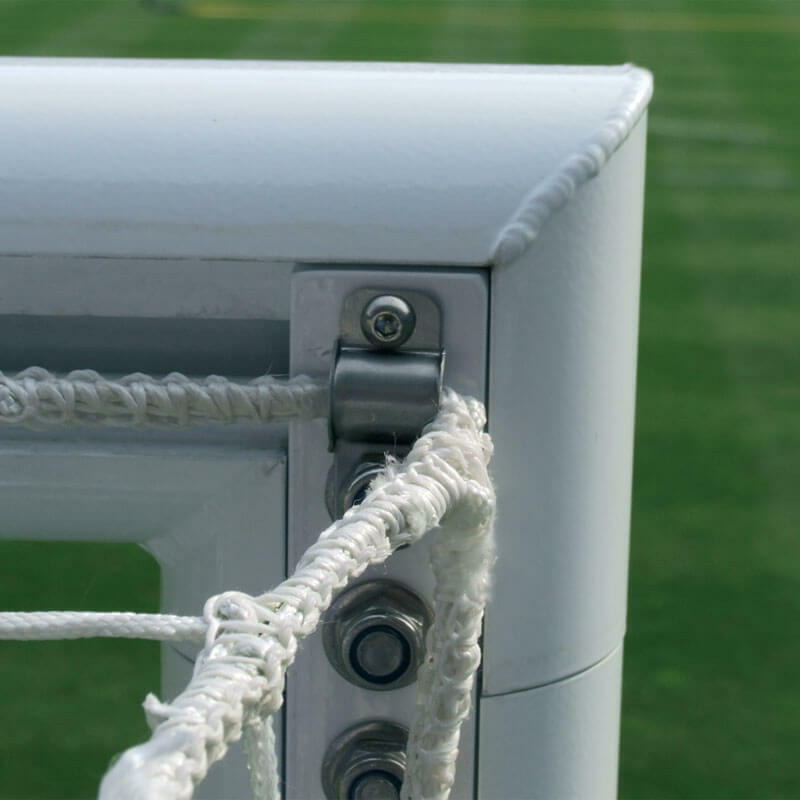 Lock-on synthetic net hooks and stainless steel bolts throughout. Independently Tested to BS EN 748:2004 (Certificate provided with goals). 7.32m x 2.44m (24’ x 8’) - 80kg per pair, 40kg per single.